SCHOOL EVENTS- LOTS O HALLOWEEN FUN FOR ALL!! 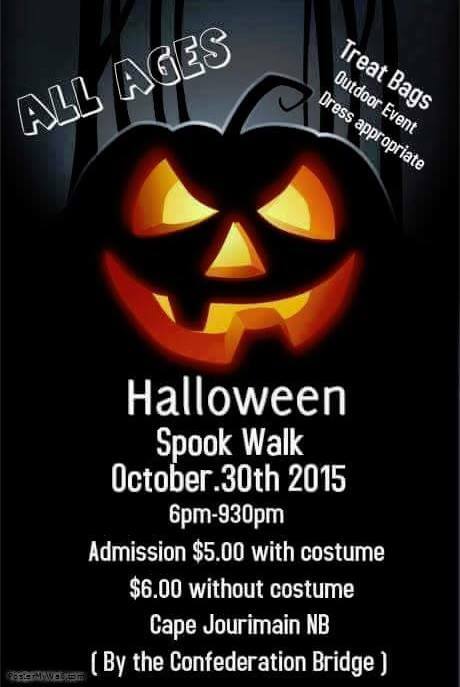 Riverview High School’s Halloween for Hunger happens on Saturday. RHS students will be going door-to-door from 11:00a-1:00p (in the McAllister Park neighborhood) collecting food for the food bank. You can leave a can on your steps if you're going to be away. Thanks! 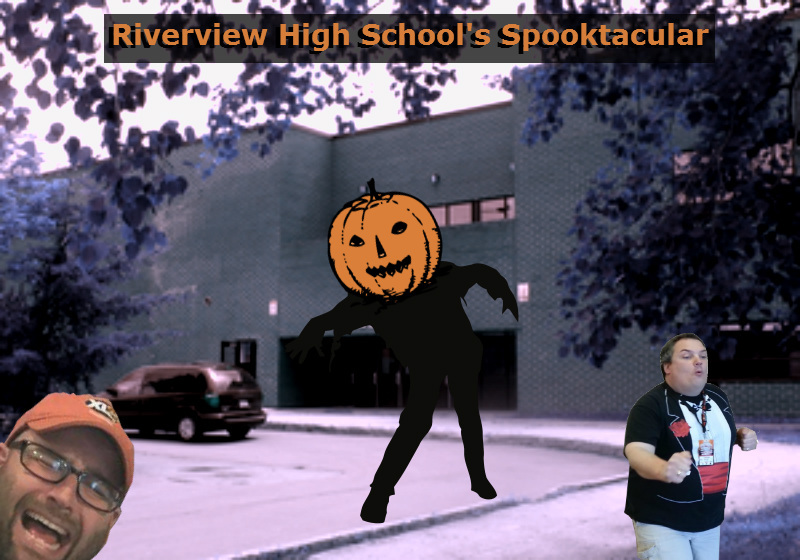 -Riverview High School's Spooktacular” happens Wednesday, October 28th from 7:00p-9:30p. There's a Zombie Tour, Haunted Hallway, Spooky snacks and lots o fun! This is aimed at Trick or Treaters age 10 and up. Cost is $5. Money goes to the RHS drama program. 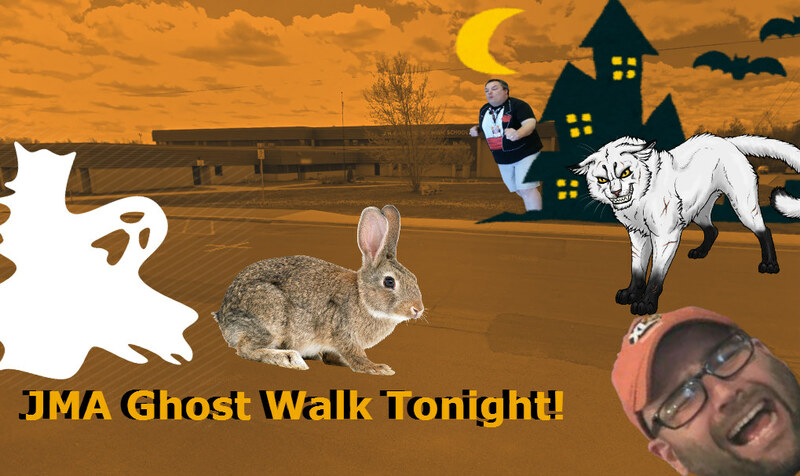 -JMA Armstrong High School Ghost Walk is Thursday, October 29th from 6p-8p at the school. Cost is $2 for students, $3 for non-students (and $1 per re-entry). Money goes to the Grad class. There will be a bake sale as you exit!! EVERYONE IS WELCOME!!! Thanks to Ally Perry for the info! Petitcodiac Regional School's "Carve for the Cure” is on this week. Homerooms (K-12) carve pumpkins, then on Friday everybody can vote for their favourite with a donation to the Canadian Cancer Society. Good luck, pumpkin artistes!! "We Scare Hunger" at Bessborough School is all about helping the West End Food Bank. They're collecting non-perishable food until Friday. Donations can be dropped off at the office. -Petitcodiac Regional School’s Jam Drive is happening. Until October 30th, you can donate jam, Cheez Wiz, honey, margarine, juice boxes, and other nut free breakfast stuff to help the school Breakfast Program. (They serve breakfast to 100 kids every day.) You can also donate a loonie or twoonie. thanks! -Evergreen School's Energizing Evergreen Walkathon happens Friday, October 30th at 9:00a. Students are out raising pledges- thanks for your support! 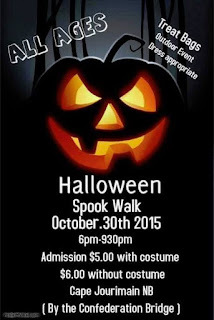 -Spookwalk to benefit Port Elgin Regional School happens on Friday 30 October at the Cape Jourimain Nature Trails (5039 Route 16, Bayfield NB). It's outdoors- Mom says bring a sweatah! There will be... Treat Bags, Scary Chills, a section with games and fun for the little ones at the Main Entrance (Front Building). On Saturday 7 November it's the Queen E Fall Fair. It'll cost a Loonie to get in. If you want a table in the Fair it's $25.00. Contact Brenda at bwilson1711@hotmail.com or 204-8375. -Christmas at Caledonia happens Friday, November 13th from 5:00p to 9:00p and Saturday, November 14th 8:30a - 2p. Put a table in for $10 each or 3 for $25. Book before Nov 10, Call 734-3710. Proceeds help the kids at CRHS. -Forest Glen School's 50th Anniversary celebration is Saturday 14 November from 1:00p-4:00p at the school. All former students/parents/staff/and the whole community is welcome! -Sunny Brae School's FundScript fundraiser helps the school out when you buy gift cards for everyday things like groceries, gas, and more. You buy a gift card and and a percentage of the $ goes to the school. You can CONTACT the school for the invitation code.